Ladurée, the celebrated French pâtisserie known for creating the world’s most delectable macarons, will open its first location in Canada on Vancouver’s Robson Street this spring. 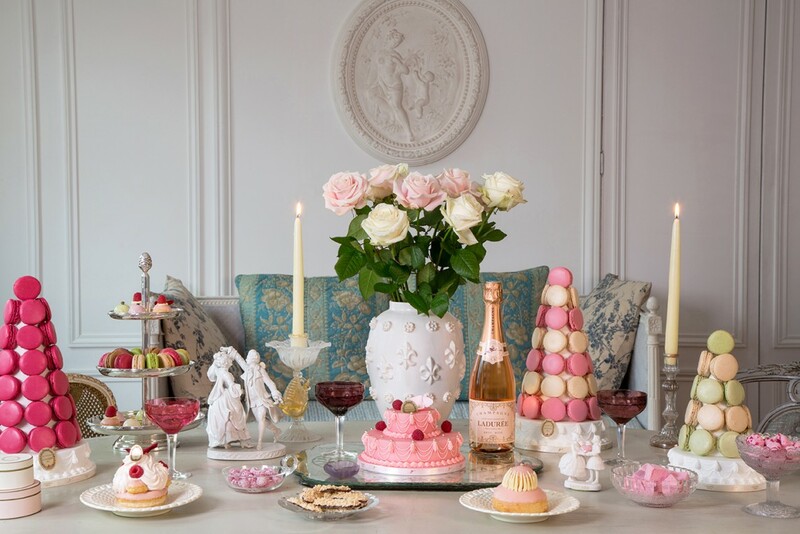 Vancouver’s Ladurée Boutique and Tea Salon will present a collection of delicious and beautifully boxed macarons, viennoiseries, teas, jams and a selection of perfumed candles and home fragrances. In addition, Ladurée’s chefs have put their talent and “savoir-faire” to work to create an exclusive menu of sweet and savoury dishes that will be served in the elegant atmosphere of the 16-seat tea salon. The history of the Parisian tea room is intimately tied to the personal history of the Ladurée family. It all began in 1862 when Louis Ernest Ladurée, a man from the southwest of France, opened a bakery on 16 Rue Royale in Paris. Now with a presence in New York, Paris, London, Hong Kong and nearly 30 countries across the world, the Ladurée brand is defined by French tradition, timeless luxury and exceptional quality. Ladurée will open its first Canadian boutique and tea salon in spring 2016, located at 1141 Robson Street, Vancouver, BC. Open seven days a week, 10am to 9pm. For more information visit www.laduree.com.